Born into poverty in Nepal, Kul Chandra Gautam capitalized on a little luck and a lot of grit to get an education. He has spent his adult life paying it forward. The village of Amarpur in the Gulmi region of Nepal hugs the side of a steep green mountain like a toddler clinging to his mother’s back. 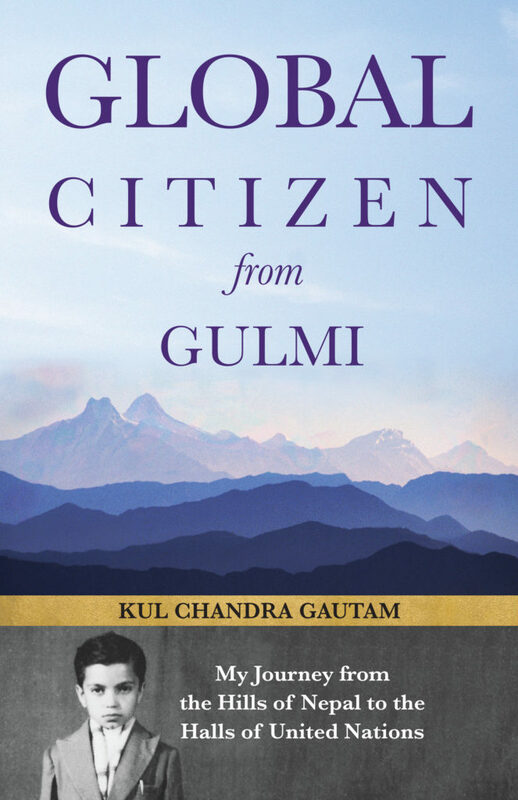 At the time of Kul Chandra Gautam’s birth there in 1949, the village had no roads, no school, no health services, no post office, no telephone, no electricity, no running water and virtually no toilets. The nearest significant market town was Butwal — a 10-day round trip by foot. Gautam estimates that 100 percent of the women and about 90 percent of the men were illiterate. Gautam’s family and neighbors worked primarily as subsistence farmers, eking out a sparse living on the steeply terraced fields. Families in the village lived cyclical lives, with one generation replacing the next in the tilling, planting and harvesting. Few left — or even imagined leaving — the village. 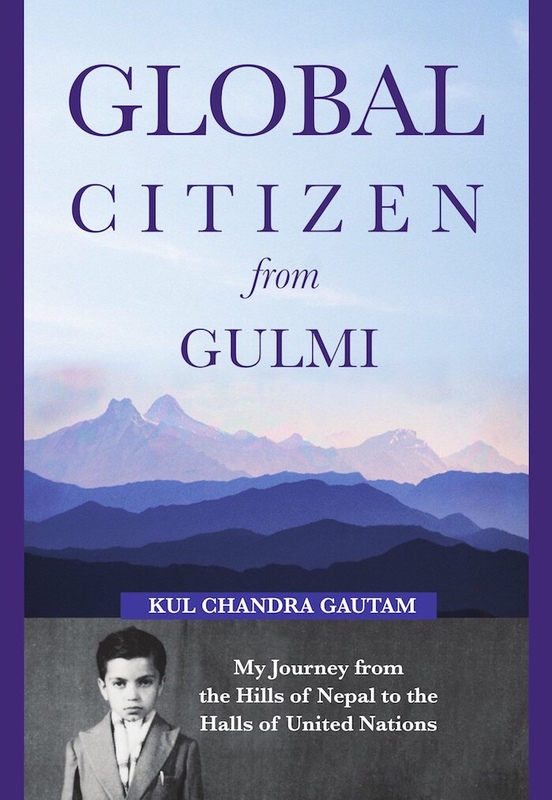 But in Gautam’s case, as he describes so powerfully in his new memoir, Global Citizen from Gulmi: My Journey from the Hills of Nepal to the Halls of the United Nations, something remarkable happened. 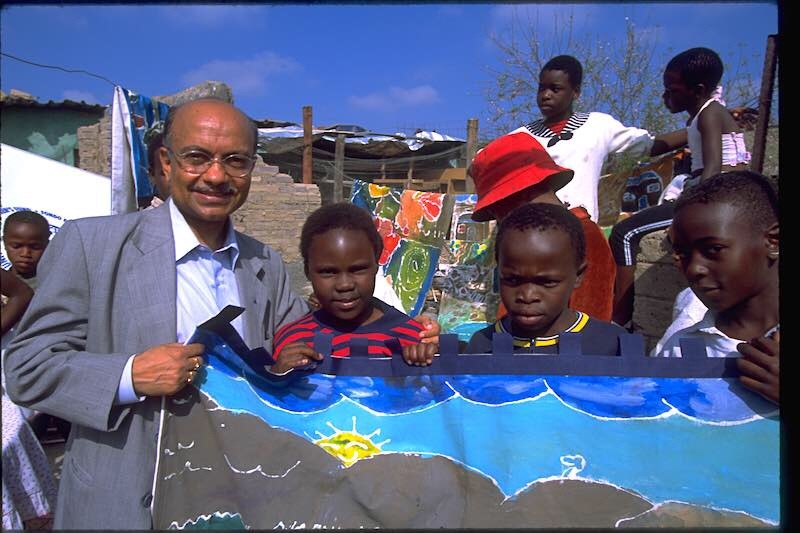 A combination of aspiration, luck, grit and a shocking amount of persistence enabled him to not only leave Amarpur but to eventually spend three decades as a UNICEF powerhouse, helping countless children with similarly long odds achieve their dreams of health, education and opportunity. On September 5, UNICEF hosted a book launch for Gautam in our Manhattan headquarters. In her introduction, Caryl M. Stern described how, shortly after she was hired as UNICEF USA President and CEO, her predecessor gave her a list of five people who would prove invaluable to both her understanding UNICEF and her efforts on behalf of children. Gautam’s name was first on the list. Gautam’s journey really began with a fairly simple, if unlikely step. His doting, semi-literate grandfather decided to teach him the Nepali alphabet. Gautam proved himself a natural learner and, at age 7, his family sent him to a small religious (Hindu) school a three-hour walk away. As the world began to open up for him, he found himself increasingly curious. “I used to ask endless questions about social norms and religious beliefs, which annoyed some adults and amused others,” he said in a recent interview. Seeing Kul’s bottomless thirst for knowledge, his family enrolled him in a school in India, requiring a five-day trek followed by a 6-hour bullock cart ride through tiger territory, then two train trips. 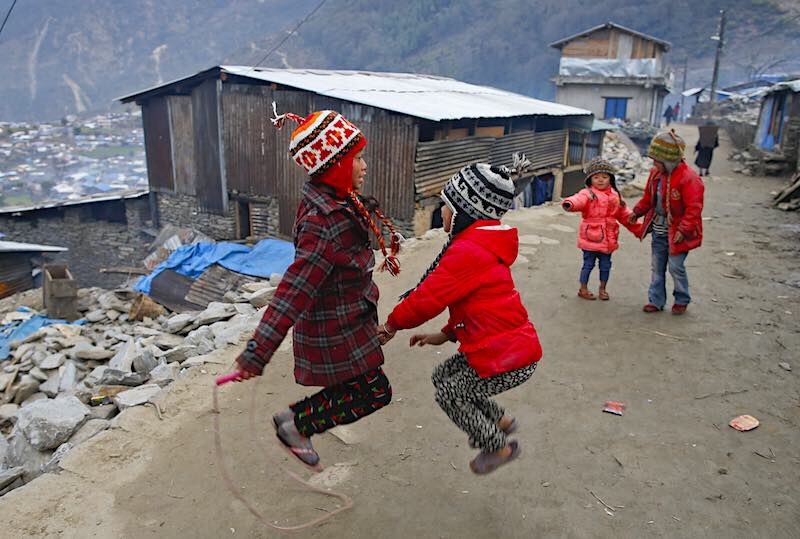 For his next school in Kathmandu, the journey was double that length. It’s amazing how easy it is here in the United States to take education for granted. Yes, our system is imperfect. But all children are guaranteed the right to learn. That is still far from the case in many parts of the world, particularly for girls — despite the fact that education is the best way to break the cycle of poverty and to provide children with a pathway to a better future. Gautam is living proof that children who have a chance to learn can do amazing things. Despite obstacles (including a two-year struggle to obtain a passport so that he could attend Dartmouth College with a full scholarship) he refused to throw up his hands and compromise on his search for a better path. 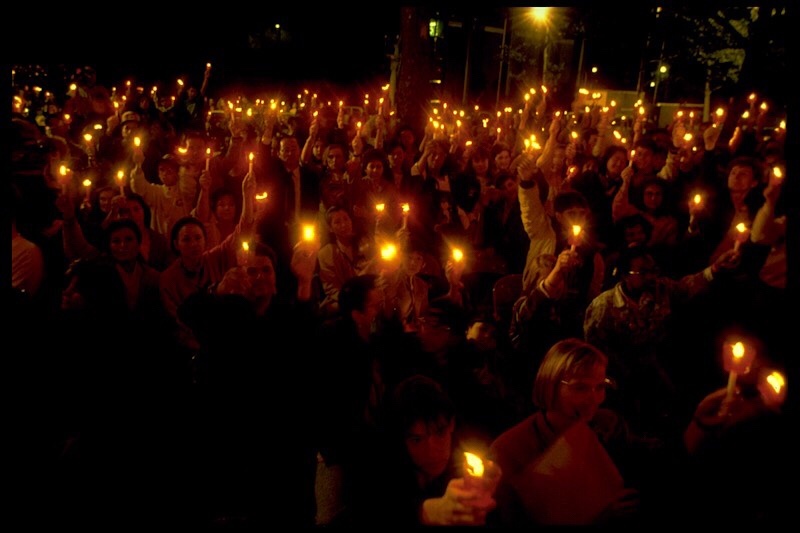 This attitude would come to shape much of his time and success at UNICEF where, following graduate school, he quickly rose in the ranks. In his first job as a Program Officer in Cambodia, he witnessed the bloody rise of the Khmer Rouge (he once said to his wife — only partly in jest — that he would want to be captured by the Khmer Rouge so that he could be taken to one of their camps and actually understand their thinking and actions). He went on to work as Program Officer in Indonesia and then as UNICEF Representative in Laos and Haiti, before becoming Chief of UNICEF for Latin America and the Caribbean. From 2000-2007, he was UNICEF Deputy Executive Director (following his 2007 retirement, he returned to Nepal to help the country recover from both a civil war and debilitating earthquake, described in his first memoir, Lost In Transition: Rebuilding Nepal from the Maoist Mayhem and the Mega Earthquake). 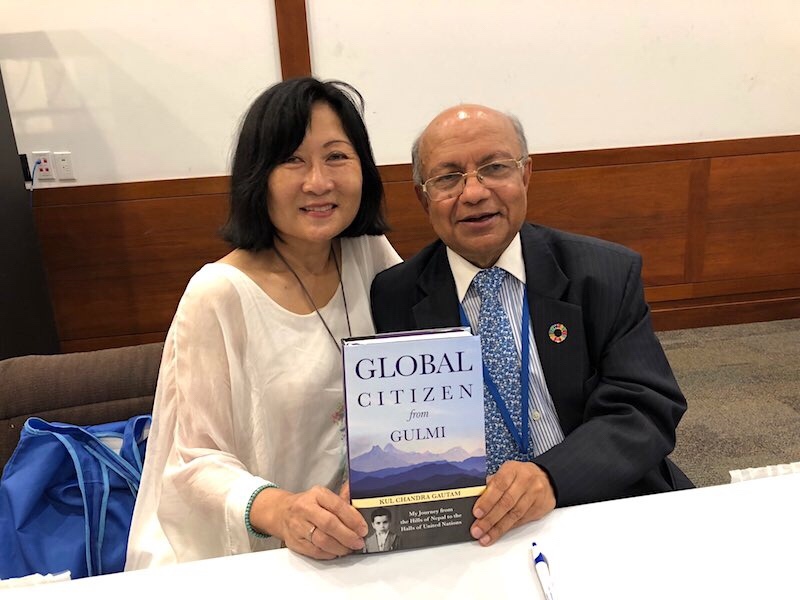 During his various leadership roles at UNICEF, Gautam witnessed the first major vaccine campaign in Colombia, helped roll back malaria in Africa, watched a dictator fall in Haiti, stood up to generals in Myanmar, helped broker famine relief in North Korea and much more. But, when asked, Gautam will say that his greatest achievement is the role that he played in crafting the agenda of the historic 1990 World Summit for Children. An unprecedented 71 heads of state and government gathered at U.N. headquarters to sign off on a detailed set of child-related human development goals aimed at — among other things — reducing infant and maternal mortality, child malnutrition and illiteracy by the year 2000. Backed by the passion of UNICEF Executive Director Jim Grant, these goals helped drive profound changes in global child survival. When Gautam joined the U.N. in 1973, 18 million children died every year; by 2016 that number was less than 6 million, despite the fact that the population more than doubled. 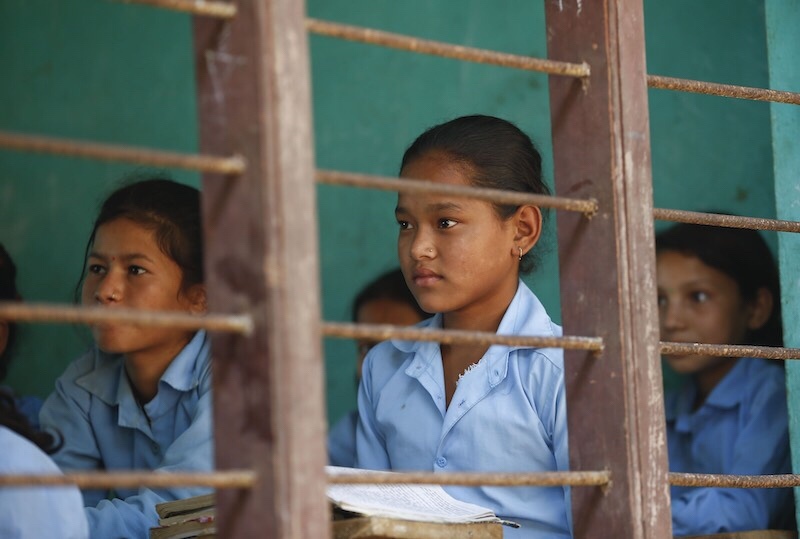 UNICEF has helped spur tremendous gains in education, too. There are now 100 million more children and adolescents enrolled in primary and secondary schools around the world than a decade ago. Still, an estimated 264 million children and youth are not getting the education they so deserve. The “Let Us Learn” initiative, funded by a $20 million contribution from Stefan and Susan Findel, is one UNICEF program that is working to erase inequality in education by giving the most excluded and marginalized children — especially girls and children affected by crises — a chance to learn. The program is currently focusing on five crisis-affected countries: Afghanistan, Bangladesh, Liberia, Madagascar and Nepal. At the launch event for Gautam’s book, Susan Findel sat in the front row, listening eagerly to this compact man with a voice that bubbles with optimism and enthusiasm. She was there, in part, because Gautam had recently announced that all of the proceeds from his book will go towards supporting the Nepali arm of the “Let Us Learn” program. In other words, the tale of his own journey will be helping to give Nepali children the same leg-up that education has given him.